Fashion editor Anya St. Clair is on the verge of greatness. Her wardrobe is to die for. Her social media is killer. And her career path is littered with the bodies of anyone who got in her way. She's worked hard to get where she is, but she doesn't have everything. Not like Sarah Taft. Anya's obsession sits one desk away. Beautiful, stylish, and rich, she was born to be a fashion world icon. From her beach-wave blonde hair to her on-trend nail art, she's a walking editorial spread. And Anya wants to be her friend. Her best friend. Her only friend. But when Sarah becomes her top competition for a promotion, Anya's plan to win her friendship goes into overdrive. In order to beat Sarah...she'll have to become her. Friendly competition may turn fatal, but as they say in fashion: One day you're in, and the next day you're dead. Amina Akhtar is a former fashion writer and editor. She's worked at Vogue, Elle, Style, NYTimes.com, and NYMag.com, where she was the founding editor of The Cut blog. She's written for numerous publications, including Yahoo Style, Fashionista, xoJane, Refinery29, Billboard, and for brands like Bergdorf Goodman and H&M's 10 Years of Style tome. After toiling in the fashion ranks for over fifteen years, she now writes full time in the desert mountains, where she's detoxing from her once glam life. 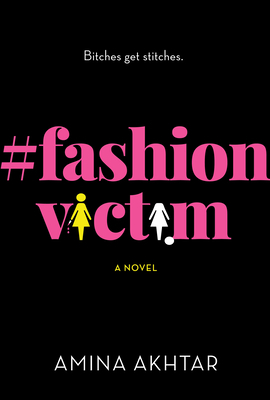 #FashionVictim is Amina's first novel.